Is the brainchild of David A Peterson Jr., who conceived the concept when ABC’s Good Morning America came to the Museum to film a segment, which featured the National A. Philip Randolph Pullman Porter Museum. As Peterson watched the filming and the production of that show, the idea came to him that he had the capability create a TV Show at our site, thus began the evolution of Museum 44. Named after the 44th president of the United States, Barack Obama, Museum 44 “Where Hip Hop Meets History” program uses popular culture, media and positive role models, to help African American youth develop the capacity to reject violence and work to improve their communities. It is often said that today’s African American youth do not have role models that exemplify the traditional “American” values that under-gird the traits that have contributed to this nation’s growth. We know this is inaccurate. African American role models that embody traditional values do exist and have for decades. One such group of Black men was the Brotherhood of Sleeping Car Porters. Pullman Car Porters are African American men who worked on Americas Trains in the 30’s 40’s and 50’s whom A. Philip Randolph organized into America’s first Black Labor movement. Sadly too few of our young people know about these men and their heroic efforts to maintain their dignity and self-respect as they endured hardships and serious racial prejudice in the process of them doing their jobs. The Museum 44 program will conduct concerted and sustained programmatic efforts to educate Chicago’s young people about the Pullman Porters and how these African American men embody the “American Values” upon which this country was built. Youth will be provided with examples of how these men won the respect of the Nation and rectified the wrongs perpetrated against them. Just as the Macabees have provided examples of heroism and pride for Jewish Youth for centuries, Museum 44 will help African American youth understand that they have historical heroes that can motivate them to gain skills and attributes to overcome obstacles of crime and violence they face in their communities. Launched in 2013, Museum 44 is becoming one of our signature programs. The Urban Renaissance Event Series” launched in 2015, is one of Museum 44’s featured programs, intended to provide an outlet for showcasing talent and changing the paradigm of entertainment in the Urban Community. Our overall goal is to serve as a “Cultural Movement that features musicians, poets, artists, etc., conveying complex human emotions and yearnings that will bring social development of the urban community nationally through an explosion of culture &amp; a new identity. 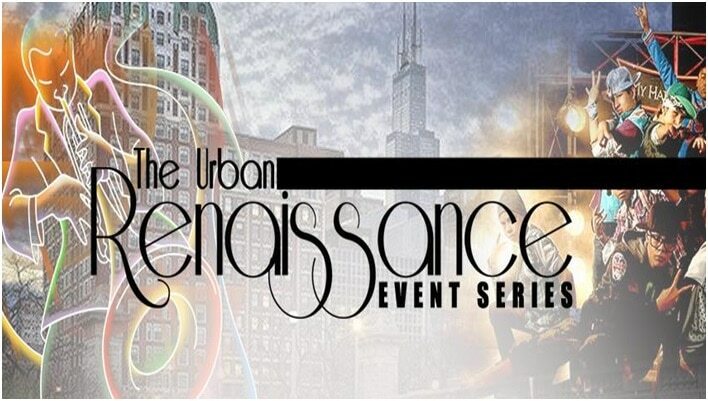 Objective of The Urban Renaissance Event Series: To create a new standard of events by bringing back the “Harlem/Chicago” Renaissance era activities and events that took place during the period of 1919 until the mid 1930’s through music, literature, arts and live entertainment. We will give our targeted market and alternative to the norm. Our overall goal is to serve as a “Cultural Movement that features musicians, poets, artists, etc., conveying complex human emotions and yearnings that will bring social development of the urban community nationally through an explosion of culture & a new identity.